I’m celebrating the release of Enchanter Redeemed with the following blog stops arranged by the good folks at Bewitching Book Tours. Please come visit! How to create powerful male characters! What Inspired You to Write About Ancient Magic? February 22 Mello and June, It’s a Book Thang! Since the next set of adventures in Corsair’s Cove feature an orchard and cidery, the universe considerately put the Sea Cider Wassail Celebrations in our path. This past weekend, Rachel Goldsworthy and I braved capricious weather to visit. Happily we missed most of the wind & rain and even found a good parking space. Suffice to say the ocean view from the orchard was moody and Gothic. We missed the last tour, so self-toured our way through the food and drink, a stroll though the orchard itself, and the inevitable shopping experience. There was singing and Morris Dancing as well as a mummer’s play, all nods to the old English tradition. The really interesting part for me was the Orchard Blessing, which involved soaking dried bread in cider and hanging it on the branches of the apple trees while the Green Man* invited favor for the coming harvest. It’s an old wassail tradition traditionally done in January. Cursory research tells me that the date is associated with Twelfth Night and/or January 17 because we’re somewhere between pruning and the sap rising. Whatever the origins of the ceremony, with all that boozy bread I imagine there will be some crows with significant hangovers in the morning. was an afternoon well spent. * The Green Man was played by an actor, the true pagan deity of the vegetable kingdom being otherwise engaged. 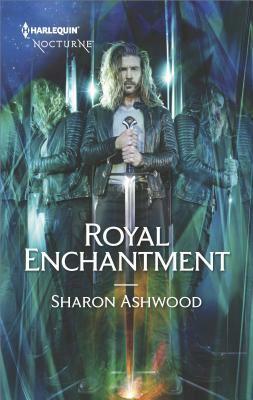 Here’s another Royal Enchantment giveaway. I took up the Black Friday challenge at Literary Escapism and wrote a short piece featuring my characters enduring a Yuletide shopping experience. The result is HERE. I used Perry Baker and Errata Jones because they are one of my favorite couples from the Dark Forgotten series. I wanted to write more about them, and I finally got my wish. I guess you could say that’s a bit of a Christmas present to myself. The first snows of winter passed through town this week. The shift in temperature seems sudden, as if the weather gods checked the calendar and turned the dial to “November.” As if that wasn’t enough, posters for holiday craft fairs are multiplying on lampposts and shop windows. Shops are putting up decorations. Even the grocery store seems crammed with extra party food. Christmas is lurking on the horizon. I am, of course, barely procrastinating about procrastinating when it comes to holiday preparations. I like the season, but I don’t go full Rudolph until much closer to the actual date. I like to ease up on it. Mind you, I got an early start this year courtesy of a writing project. Did you notice Kiss at the Altar is actually a Christmas story? A Christmas wedding story? Yup. If you’re looking for a first step along the frosty white road to the seasonal spirit, this is as merry as it gets! Here’s a link to find out more about it! doomed spirits. Plenty of material there. And, in truth, many of my books reference Samhain or Hallowe’en, and most of them have some supernatural goings-on. Plus, I live down the street from a graveyard in a very haunted town. I am spoiled for choice of spooky material. So, I’ll restrict myself to two favorite images I’ve taken in the cemetery. Both were taken with an older camera and aren’t the best resolution, but to me they show the fantasy world peeping through to our own. The crow on the obelisk should definitely be quoting Poe. As for the angel–could the sky be any more perfect for a heavenly backdrop? Sure, on Hallowe’en the veil between the worlds is thinnest. That doesn’t mean the other 364 days are completely free of magic sprinkles. We just have to stay alert.